TravelCarma obtains information from individuals and companies that visit our websites, by email, telephone and written documents. Information collected includes names, postal addresses, e-mail addresses, telephone numbers, and certain preferences you have depending on the services or information you request. Information collected when you visit the TravelCarma website may also include personal information in a variety of circumstances. To provide you with the highest possible level of service and to help you to obtain the best service from our software and website. To notify you about our products and services, special offers and promotions and any other marketing materials which we think may interest you. For other administrative purposes and for internal analysis. It’s in TravelCarma’s legitimate business interest to keep its customers and contacts informed of our latest content, products and services. We process such data and use direct marketing as part of this legitimate interest. It’s necessary for us to use a variety of direct marketing channels and messages to ensure our contacts are kept informed, and wherever possible we make sure the messages we send are targeted and relevant. Any direct marketing we undertake complies with e-privacy rules on consent in relation to business to business marketing. We will keep your data safely and securely for as long as necessary or according to your instructions. If you’d like more information about how we store your data, please contact us directly. 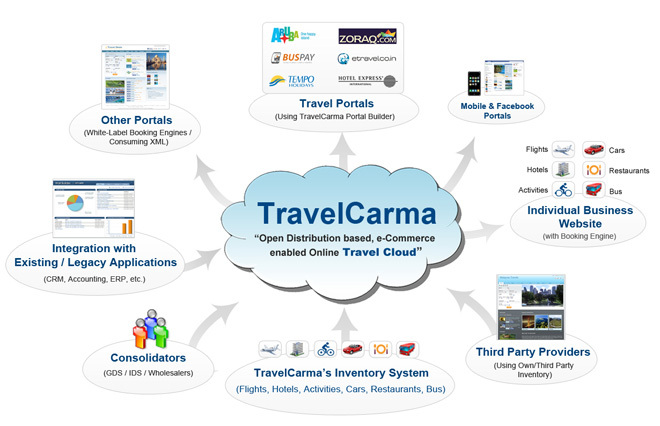 TravelCarma may receive data about organizations, industries, website visitors, marketing campaigns and other matters related to our business from our partners, affiliates or others, that we use to make our own information better or more useful. This data may be combined with other information we collect: for example, how well an online marketing or email campaign performed. Data will only be passed onto a third party at your request. Additional information provided to TravelCarma? We may receive and store other information when submitted to our websites or if you participate in a focus group, contest, activity or event, apply for a job, request support, interact with our social media accounts or otherwise communicate with TravelCarma. You have the right to opt out of our direct marketing at any point, and we will deal with your request right away. To opt out of our direct mail or telephone marketing please contact us.